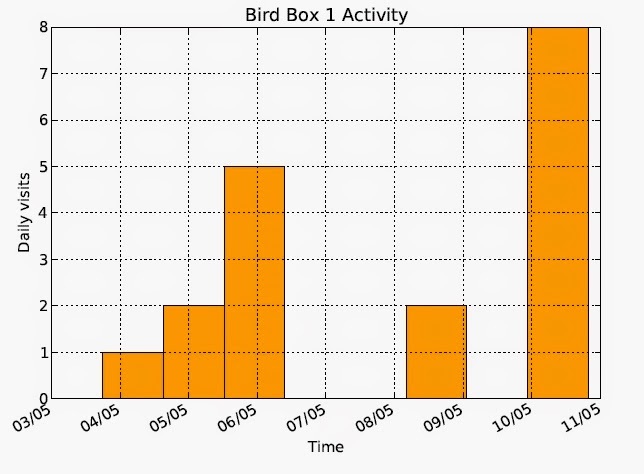 I've been working on getting the activity counter working on my side-view bird box. This works on the basis of 2 infra-red beams built into the entrance hole. The front panel of the box is constructed of several layers of plywood with channels cut for cable inclusion. The IR beams interface with a PiFace add-on board on a Raspberry Pi. The principle is that by breaking outer and/or inner beam its theoretically possible to distinguish between entrance, exit, head bob in/out. 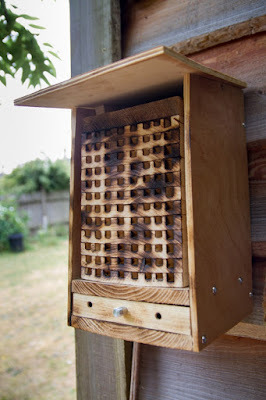 My design is based on that described in chapter 17: "The Techno-BirdBox: A Wildlife Monitor" of Andrew Robinson and Mike Cook's book: Raspberry Pi Projects. For full description on wiring guide and setup, please go buy the book! I did feel slightly aggrieved that the included python scripts for recording and processing the beam breaks has quite a few printing errors in the book,and does not work as-is. I have made corrections such that I think it now all works fine. You can find my versions of these scripts in a GitHub project page together with some sample activity log data, which I've used to create the graph below. The plus side of having had to tweak these scripts is that I have learned some python and I now have some idea of what a state machine is. All I need now are some bird box visitors! 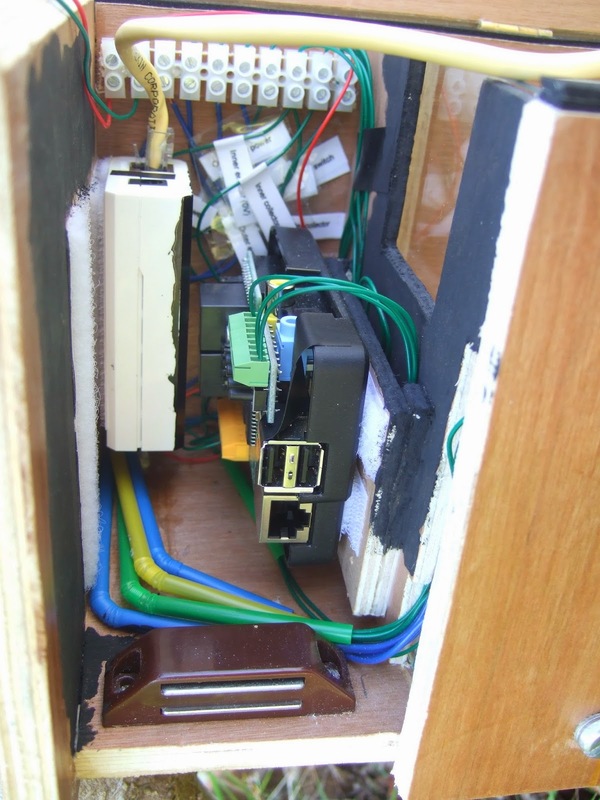 That RapsberryPi wiring is a really tidy, professional job, right down to the mag-catch. Do you do this kind of thing for a living? I also like the activity counter. That graphing feature could save me a bit of time. Ha! no, not for a living.. I just like neatness in my projects... I wouldn't recommend routing wires through straws though - its a bit of a fiddle.